Atlanta is an amazing city, boasting close to 500,000 residents in the city itself, 5 million in the metropolitan area that surrounds it, plus a number of furry and aquatic residents at the famous Georgia Aquarium and Zoo Atlanta . With so much going on, it can be overwhelming to even know where to start looking for things to do in Atlanta . There are a lot of major tourist attractions in the city, such as World of Coca Cola, and the CNN studio. If you really want to enjoy the hidden gems, try to explore Atlanta like a local. Here are the best things to do in Atlanta that you don't want to miss on your trip to the capital city of Georgia. This summertime staple is a much-loved activity in the Atlanta area. If you're looking for things to do in Atlanta this weekend, give it a shot! There are outfitters on the river who can set you up with tubing gear. You'll want to call in a reservation in advance – if you walk in, you run the risk that all the equipment will be rented. 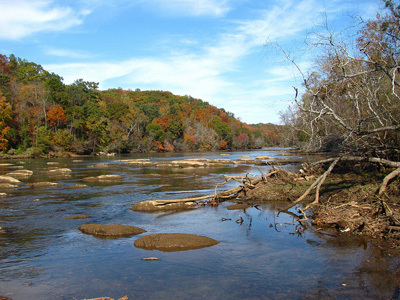 You don't want to miss your chance to "Shoot the Hooch," so plan ahead to enjoy this local activity. Of course, don't forget to bring your own beer! In the Southeast, college football is everyone's favorite religion. If you're visiting in the fall, make plans to catch a game at Georgia Tech or Georgia State. The scene will be very wild, so be prepared! 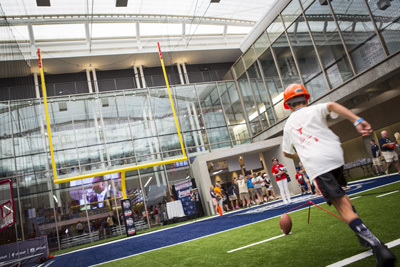 If you're visiting outside of football season, be sure to at least visit the College Football Hall of Fame , which features 50,000 square feet of exhibit space, interactive multimedia displays, children's activities, and a 45 yard indoor football field. Drinking is a local pastime, and no beginner's travel guide to Atlanta would be complete without mentioning SweetWater Brewing Company. While you plan things to do in Atlanta, make time to tour the brewery , attend a tasting, and get to know this local landmark of the city. If you can't visit the brewery directly, be sure to visit the many pubs that feature local brews and enjoy a drink with your friends. Atlanta has a thriving food truck scene, and as a result there are a lot of unique places to catch lunch in the city. To really explore Atlanta like a local, you can look up your favorite food truck and find out where they are on a given day. Some good options for specific trucks include King of Pops, the Atlanta Burger Truck, Wing King and Things, and Genki-to-Go. For an easier option, just visit Atlanta Food Truck Park & Market to see what you can find. 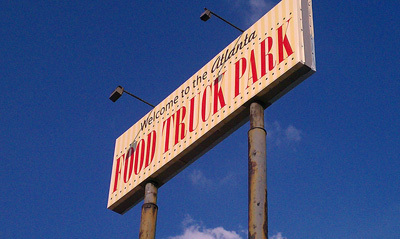 The Atlanta Food Park is located at 1850 Howell Mill Rd NW, Atlanta, GA 30318. 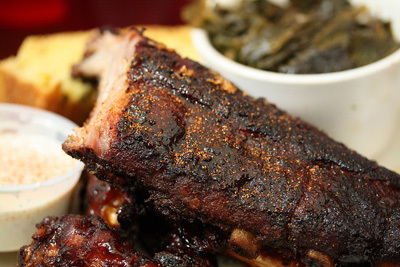 Atlanta is in the south, and that means you can't miss the best barbecue around. Which place has it is still open for debate, but you can try either Fat Matt's or Fox Brothers (check out its location in the quirky Five Points neighborhood ) without being disappointed. In fact, there may be fistfights between Atlantans over which one is better. Regardless of which place you try, grabbing some barbecue is a great thing to do in Atlanta this weekend. As you look for things to do in Atlanta , don't miss these five great activities that will have you experiencing the city like a local. And watch out for that other experience all the locals have – traffic. Don't laugh that folks always seem to know side roads – in Atlanta, that's a survival skill. Plan plenty of time to get where you need to go, and always book tickets in advance for quick and easy access to these awesome Atlanta activities!